The bush-hogging is done. The perimeter fence will go up next week, after I cash in a CD. I’m rigging up a Quonset-hut shelter out of PVC pipe and a tarp for my dogs. Tow in the camper and I’ll be ready to move. My homesteading adventure begins! Well, I guess that’s not strictly true. My homesteading adventure probably began on a small family farm in upstate New York. My father was already sick when I was born, but my mother managed to keep a cow, a few chickens, and a vegetable garden going. She had four kids and a dying husband to feed. Emphysema finally claimed him when I was eight, and a year later we moved into a neighboring town. Since that time I’ve been a “city kid“, although “suburban kid” might be a little more accurate. My mother tried to have gardens wherever we lived, and I always felt an affinity for the rural life even when all I could manage was a potted tomato plant on an apartment balcony. And now it’s my turn. I lost my own husband a little over a year ago, and there is nothing holding me in this city. 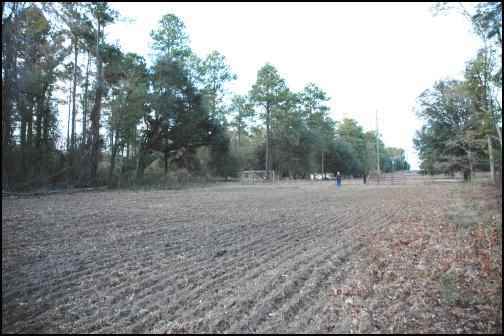 I’ve bought 15 acres in a neighboring rural county (in north Florida) and I’m “going back to the land.” Most people who say they’re going “back” to the land never left it to begin with, but I did. My mother is gone now, but I know she’d be laughing at my agrarian pretensions (though secretly, I think she’d be pleased that I am returning to the life she left behind so many years ago). I remember helping her to plant the garden, and watching her butcher chickens (and I remember with some discomfort how I laughed hilariously as the headless chicken ran around and flopped its little life out on the ground). Killing meat animals is the only part I truly dread, but I know I will do it quickly and painlessly when the time comes, and as I’m not prepared to become a vegetarian, I don’t see that I’ve got much choice. I’ve been doing loads of research in preparation for my homesteading adventure. I’ve read many of the Storey books and others; I’ve spent uncounted hours online reading up on livestock breeds and sheltering requirements and diseases. The chief thing I’ve learned is that I’ve got a LOT to learn! Thank heaven for the internet—I would’ve had to set up a cot in the city library to have acquired this much information in “the old days,” not to mention how beneficial it is to be able to “chat” with people online who have done, and are doing, what I plan. Just think how many years of trial-and-error (mostly error!) it would have taken me to learn all this on my own! I’m planning to begin with chickens, and my breed research so far favors Barred Rocks. They seem to offer the best combination of eggs, meat, and docile temperament. I want to raise meat goats, and am leaning toward a Boer/Kiko cross—Boers for their meatiness, and Kikos for their parasite resistance. Future plans include meat rabbits as well. Here in north Florida, the lack of a long cold winter is both blessing and bane. Rather than choosing stock for their cold-hardiness, I have to consider their ability to withstand the brutally hot summers. Livestock shelters need not withstand extreme cold, but must provide well-ventilated shade and survive the occasional hurricane. The lack of extended freezing temperatures means that parasites thrive year-round, and both plant and animal pests are rampant. On the other hand, I can have crops in the ground nearly year-round, though not much will survive the summer’s killing heat. What you haven’t harvested by the end of June, you’re not likely to get. In September you start planting your fall garden, and in November and December you put in your cold-season crops, such as the Cruciferae (broccoli, cauliflower, cabbage, Brussels sprouts), English peas, and greens of various hardy types. Some fruit trees do very well here, peaches, figs, and persimmons among others. I’m too far south for apples, too far north for most citrus. Nurseries will tell you there are varieties of both that will grow here, but surviving and bearing fruit are two different things. Banana trees are used as ornamentals here, and if kept wet enough they will bear fruit, but it’s not the nice sweet bananas you get from the grocery store. They’re starchier, perhaps closer to plantains than the commercial banana varieties. I’ll be putting in berries of several types—strawberries, blueberries, as well as blackberry and raspberry canes. I’ll need to acquire a large freezer to preserve my (anticipated) bounty, but I’ve got to have a place to put it. To start out, I’m going to be living in a little 28-foot travel trailer until my house in town sells and I can build on my land. The current real estate market means that will take many months, and considering that my house is old and not in the best condition, I’m unlikely to get a very good price for it. It was the equity in this house that allowed me to purchase my homestead—I refinanced the house mortgage and bought my land outright, with no mortgage on it! I’m very lucky to have found a terrific piece of land—nice regular boundaries, near a major road, good soil, and with two wells, a septic tank, and a power pole already in place. The previous owners had started to build a house, and the foundation (with plumbing rough) and some wall framing is already in place. That has been exposed to the elements for seven or eight years, so I will have to replace some of the lumber, but the foundation and plumbing rough alone will save me thousands of dollars. Coupled with the fact that I got this land at a tremendous bargain (A, because there is a power line right-of-way running through the middle of it, and B, because the sellers were divorcing and desperate for money), it’s the only way I could ever have afforded to make this move. 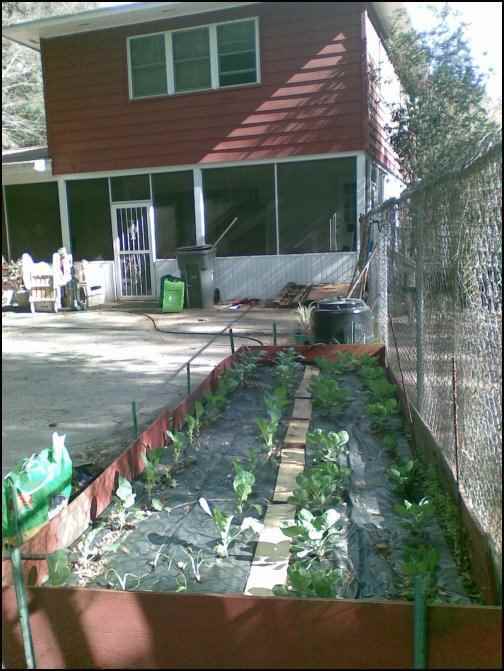 I’m going to make my homestead as “green” as I possibly can, within my budgetary limits. When I build my house, I plan to use a Sun-Mar composting toilet, to install radiant heating in a stamped-concrete floor, and to use a metal roof with rainwater catchments. The drought in the southeast is of no small concern to me. The largest surface of my roof will be south-facing, and solar water heating will provide both hot water and the radiant heat for the floors. I’m afraid standard air conditioning will not be optional in this climate—it’s far too humid here for a swamp cooler, and I’m far too spoiled to live without it! I will, of course, take careful heed of insulation, passive cooling, position of shade trees, and all the tricks so well-known to gulf-coasters for surviving our horrid summers. In addition to the radiant floor heat, I’ll have a woodstove in the main living area which should heat my snug little house more than adequately for the few really cold weeks we get down here. There is enough downed oak on my land for several years’ worth of firewood, given my modest needs. 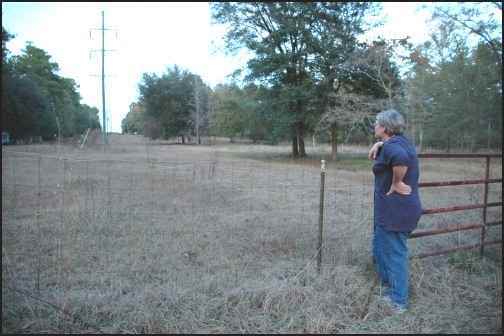 My land is partially cleared, so the goat pasture and the vegetable gardens are ready for me. The old gentleman who bush-hogged my property line also plowed up my garden plot for me, and he has a sawmill as well. There is plenty of pine on my land, so he plans to choose a few trees and drop them so they can start drying, and when my house in town sells he will plank them for me to use in the construction of my house. The outside will be covered in half-rounds, for the look of a log cabin, and the inside will be paneled in rough-cut planks. Coupled with exposed beams in the ceiling and a stamped concrete floor that will look just like flagstone, I’m anticipating a beautiful little house. And I’m absolutely tickled pink that the wood will come from my own property! I have great plans… it remains to be seen whether or not I will have the money and the physical strength to do all of this. I ain’t no spring chicken, as my mother used to say, and will have to hire the muscle power to do anything serious. My husband’s death left me with a life insurance payout, which is nearly gone, and this house, and that’s all. I used to be professionally employed, but quit working for several years to care for him. This long gap in my employment history seems to be a kiss of death for head-hunters—I’ve submitted many resumes in recent months, but no job offers have resulted. I’ve applied for several online writing gigs, but again, responses have been few and discouraging. There is no industry in the little town I’m moving to, and it seems a shameful waste of a good education and years of experience for me to get a minimum wage job in the local grocery store, but I’m going to have to have an income. I plan to sell my homestead products, of course, starting with free-range eggs, maybe fresh chicken, turkeys, ducks or geese; excess vegetables assuming I have some, and eventually meat kids from my goats. That all requires establishing a clientele, and keeping them happy so they’ll spread word-of-mouth. I’m computer-literate enough to set up a rudimentary website, but it’s going to be local customers only as I don’t think shipping fresh produce and meat is practical. I can produce some craft items, but that’s too time-consuming to make money. I’ve done some preliminary research into CSA (community supported agriculture), where town folks buy a “share” in a season’s produce. This is a university town so there are lots of educated (and fairly well-off) people who might participate, but I’m a little worried about being at the mercy of buyers who might expect me to produce like a grocery store. I’m also quite sure these folks would expect me to grow organically, and in Florida that’s extremely difficult. The vast variety and sheer numbers of insects and fungi that want to share my harvest means I’d have little prospect of getting enough good produce to satisfy “customers.” Naturally, I plan to use non-toxics wherever they will work, and as little pesticide as possible, but I cannot commit to using none at all. Natural fertilizer is a different matter. I have good soil to begin with, and plan to amend it with chicken, goat, and rabbit droppings, composted by red worms. As I clear brush it will all go through a shredder and be used for compost or mulch. I also have a couple of sources for horse manure, which I can collect by the truckload at my convenience. But again, since the horses are not fed organic feed, I cannot claim to be using organic fertilizer. The regulations for claiming one is “organic” seem prohibitive to me, but maybe that’s just my inexperience. I have high hopes, and I have confidence in my own ability to work hard, to learn what I need to learn, and to do what I need to do within my physical limitations. It remains to be seen whether, and to what extent, I succeed in my homesteading adventure.